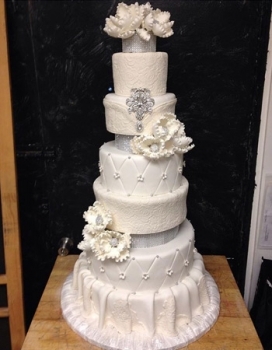 We use buttercream, fondant and gumpaste to hand sculpt and custom color a unique cake for your Wedding. Taste and design are the two most important elements of your cake. Sweet Sweet Sue's will tailor a centerpiece for your Wedding day that tastes as good as it looks. Enhance Your Listing by calling 908-756-0123 Today!